55 year old woman disliked looking tired and much older than her age. She didn’t want to change her look and was extremely nervous about people judging her because she had surgery. She, however, hated being ignored and not noticed at all because she was “old.” She felt invisible and hated it. 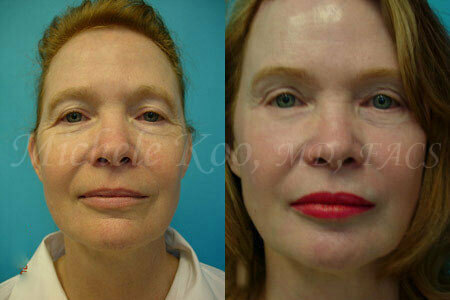 Dr Michele Koo performed an upper and lower eyelid surgery (blepharoplasty). She recovered in 2 weeks and was able to attend a big social function in 4 weeks. She LOVES her “new” eyes but no one has asked her if she had anything done. People pay attention to her again and she is no longer invisible according to the patient!